Eleanor Wachtel was born and raised in Montreal, where she studied English literature at McGill University. Wachtel lived in the United States and Kenya, and then in the mid-'70s worked as a freelance writer and broadcaster in Vancouver. In the fall of 1987, Wachtel moved to Toronto to work full-time as Literary Commentator on CBC Stereo's State of the Arts, and then as writer-broadcaster for The Arts Tonight, and Toronto reporter for The Arts Report. She was host of The Arts Tonight from 1996 to 2007 and has been host of CBC Radio's Writers & Company since its inception in 1990. She also hosts Wachtel on the Arts on Ideas. In 1993, Knopf Canada published a selection of interviews called Writers & Company; More Writers & Company was published in the fall of 1996. In spring 2003, HarperCollins brought out another selection, Original Minds. Eleanor Wachtel is a contributor to the best-seller Dropped Threads (2001), co-edited by Carol Shields, and Lost Classics (2000), co-edited by Michael Ondaatje et al. In 2007, she published Random Illuminations: Conversations With Carol Shields. In 2011, Writers & Company won the New York Festivals Prize for the World's Best Radio Programs. Writers & Company twice won the coveted CBC Award for Programming Excellence for the best weekly show broadcast nationally. In 1995, the judges noted that if they had to choose one hour of radio to take to a desert island, it would be Writers & Company. Writers & Company also won the CBC excellence award in 2003. 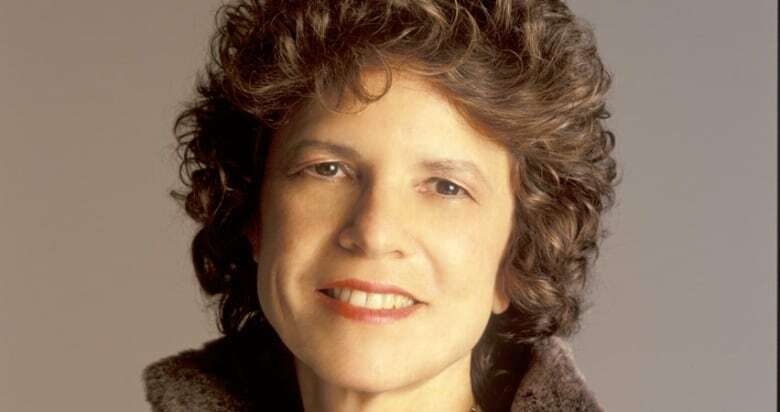 In 2002, Eleanor Wachtel was named winner of the Jack Award for the promotion of Canadian books and authors. Eleanor Wachtel has received nine honorary degrees, including a Doctor of Literature from Carleton University (2017), a Doctor of Laws from Concordia University in Montreal (2010), a Doctor of Letters (2009), from McGill University in Montreal; a Doctor of Laws (2007), from Dalhousie University in Halifax; D. Litt. (2007) from Simon Fraser University in Burnaby, B.C. ; D. Litt (2002) from Mount Saint Vincent University in Halifax; D.Litt. (2001) from the Emily Carr Institute of Art and Design in Vancouver; D.Litt. (2000) from Athabasca University in Alberta; and D.Litt. (1999) from St. Thomas University in Fredericton. In 2004, Eleanor Wachtel was named to the Order of Canada, and in 2014 she was promoted from Member to Officer. In 2015, Eleanor Wachtel was named to WXN's 100 Most Powerful Women - BMO Arts & Communication. In 1993, Knopf Canada published a selection of interviews called Writers & Company. More Writers & Company was published in the fall of 1996. In spring 2003, HarperCollins brought out another selection, Original Minds. Eleanor Wachtel is a contributor to the best-selling book Dropped Threads (2001), co-edited by Carol Shields, as well as Lost Classics (2000), co-edited by Michael Ondaatje. In 2007, she published Random Illuminations: Conversations With Carol Shields, which won the Independent Publisher Book Award, and most recently, The Best of Writers & Company (2016). Click on each book title to find out more.